Welcome to the Laboratory for Advanced Biopolymers and Nanomechanics of Proteins (LABNanoPro)! 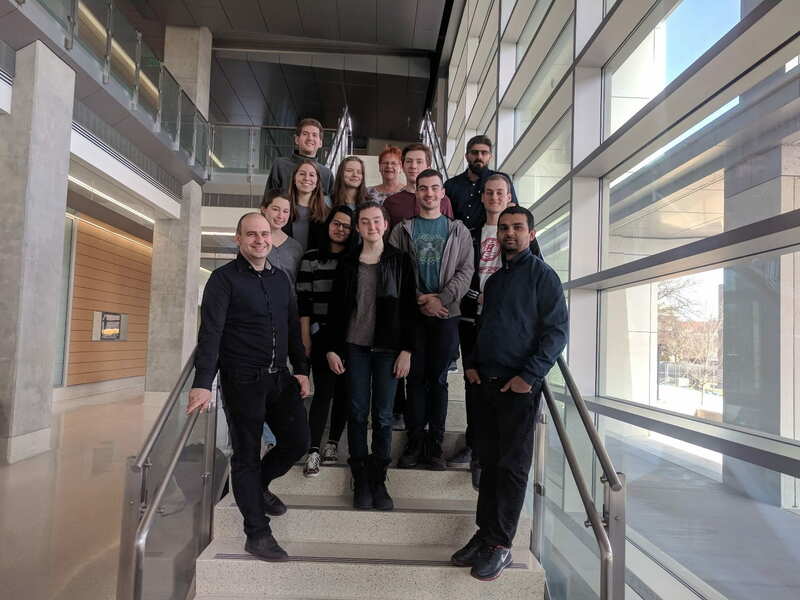 From left-to-right, top-to-bottom: Ryan, Annie, Luai, Olivia, Cristina, Max, Tessa, Sanjna, Lauren, Kirill, Mirko, Ionel, Narayan. As part of the Biophysics group in the Physics Department, our lab is using cutting-edge single molecule force spectroscopy techniques to investigate the response of proteins to mechanical perturbations. Our research combines instrument development, protein engineering, covenant attachment chemistries, and computer programming to study the mechano-chemistry of proteins from single molecule to tissue organization. Located in the new Kenwood Interdisciplinary Research Center, our group has a brand new wet-lab section, fully equipped for protein engineering and surface chemistry, and measuring facilities, such as a fully operational custom-made magnetic tweezers and a microscope mounted tensile tester for biological tissues/materials, currently under development. For more information about our research of interests, please refer to our recent publications here. University of Wisconsin Milwaukee is the second largest in the University of Wisconsin system, with over 25,000 students. In 2017, the University of Wisconsin system is ranked 18th worldwide by Reuters Top 100: The World’s Most Innovative Universities. Our laboratory was recently featured in an article by UWM Report and in BizTimes Milwaukee. Kirill was recently featured on UWM Report for being selected as one of two representatives for the state of Wisconsin for the Poster on the Hill event hosted by the Council on Undergraduate Research. Congrats Kirill! 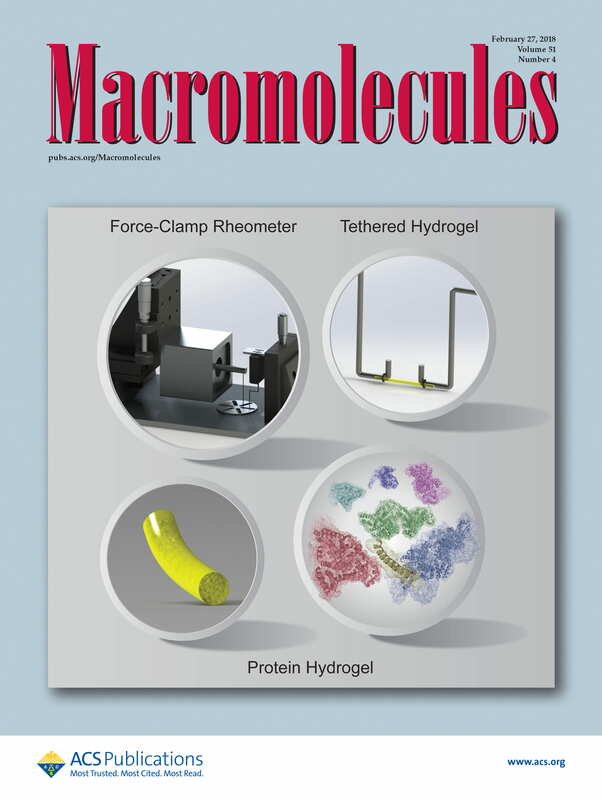 Study of Biomechanical Properties of Protein-Based Hydrogels Using Force-Clamp Rheometry was chosen for the front page of February 27th, 2018 issue of Macromolecules!